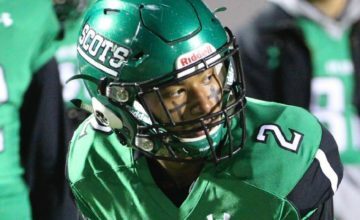 BOISE, Idaho — With his career hanging in the balance, Tyler Hall made the biggest play of his career. On defense. The all-time leading scorer in the history of the Big Sky Conference is a bucket away from reaching 2,500 points in his memorable career after scoring 23 points on Wednesday afternoon. He now has 426 made 3-pointers, one of the top 10 totals in the history of Division I men’s basketball. With an Idaho team with nothing to lose playing in front of a largely partisan crowd at CenturyLink Arena rallying hard, Hall saw his career flash before his eyes. 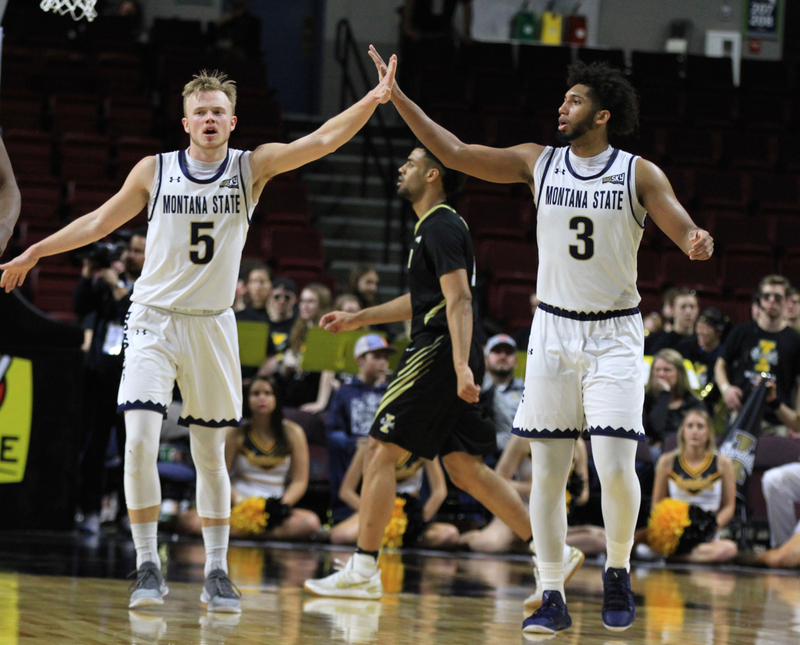 For all his individual accomplishments, Hall and the Montana State Bobcats have been bounced in heart-breaking fashion in their first game of the Big Sky Tournament each of the last two years. Montana State fell behind 10-0 to start the game against the last seed in the tournament. Hall and junior point guard Harald Frey settled in, dicing the Idaho defense to help MSU build a 57-42 lead with 12 minutes to play. Last season, MSU blew a 19-point lead with 10 minutes left on the clock in a 74-72 loss to North Dakota in the first round. 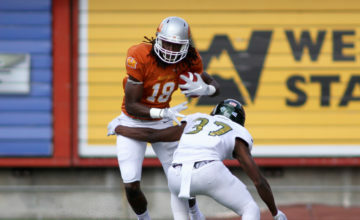 Trevon Allen and the Vandals looked primed to forge a similar comeback. Allen’s jumper with 31 seconds left cut MSU’s lead to 73-71. Idaho fouled Frey, an 85 percent free throw shooter. He missed the front end of a one-in-one. Allen missed a game-tying jumper with 20 seconds left and Hall secured his 10th rebound. The 89.1 percent career free throw stepped to the line. He too missed the front end, giving Idaho new life. Scott Blakney secured the rebound and threw an outlet pass to Allen. But Hall swooped in, stripping Idaho’s only junior, drawing another foul. Hall stayed true to his word, stepping to the line and knocking down two free throws to give his team a four-point cushion with 4.6 seconds left to play. 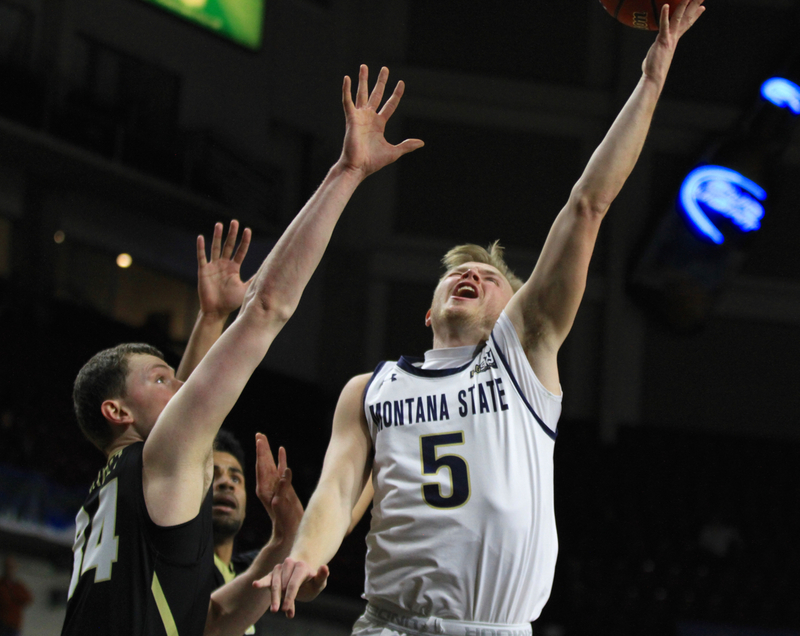 Those freebies helped secure a 75-71 win, Montana State’s first victory in the Big Sky Tournament since 2009. After a career filled with individual accomplishment and team disappointment, Hall is finally into the quarterfinals of the league tournament. The Bobcats take on No. 3 Eastern Washington at 8 p.m. on Thursday. 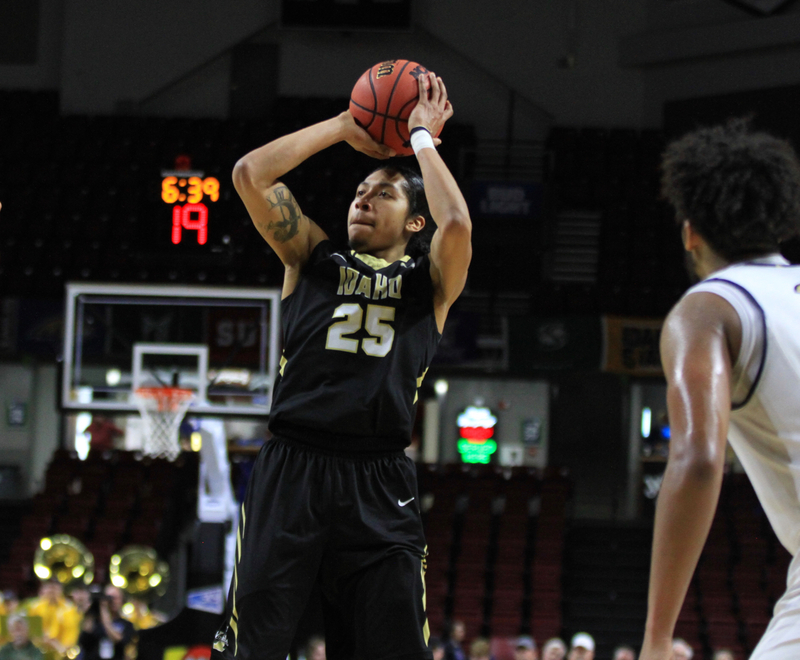 A season ago, Idaho rode a stacked, veteran roster to a 23-win season that ended abruptly in the quarterfinals of the league tournament. A team led by six seniors that earned the second seed lost to No. 10 seed Southern Utah. This season’s roster includes just Allen as an upperclassmen, making UI one of the youngest teams in the country. Idaho entered the week in Boise with just five wins, including just two (Sacramento State, Eastern Washington) in Big Sky Conference play. 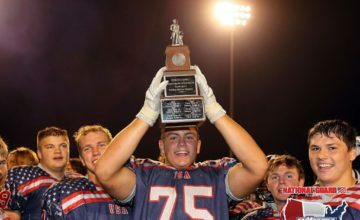 Playing less than four hours from Moscow with a noticeable crowd on hand, the Vandals embraced the underdog mentality full force. Cameron Tyson, the most prolific true freshman shooter in league history, hit the first shot of the game and hit three 3-pointers in the first 10 minutes of the game and four in the first half, giving him a league-record 106 triples in his rookie season. Tyson’s third triple staked UI to a 20-10 lead midway through the first half. The Bobcats looked shaky and unstable for the first 10 minutes. Then Frey, a second-team All-Big Sky selection as a junior, locked in and led the Bobcats back. Frey scored 12 points during a 14-2 run that helped MSU take their first lead five minutes before halftime. Hall nailed two of his five made triples in the final two minutes of the first half as MSU entered the break with a 32-30 advantage. Behind Frey’s peerless ability to serve as a floor general who is both steady and explosive, the Bobcats built a gap in the second half. Frey hit a 3-pointer from beyond NBA 3-point range to spark MSU’s best offensive stretch. 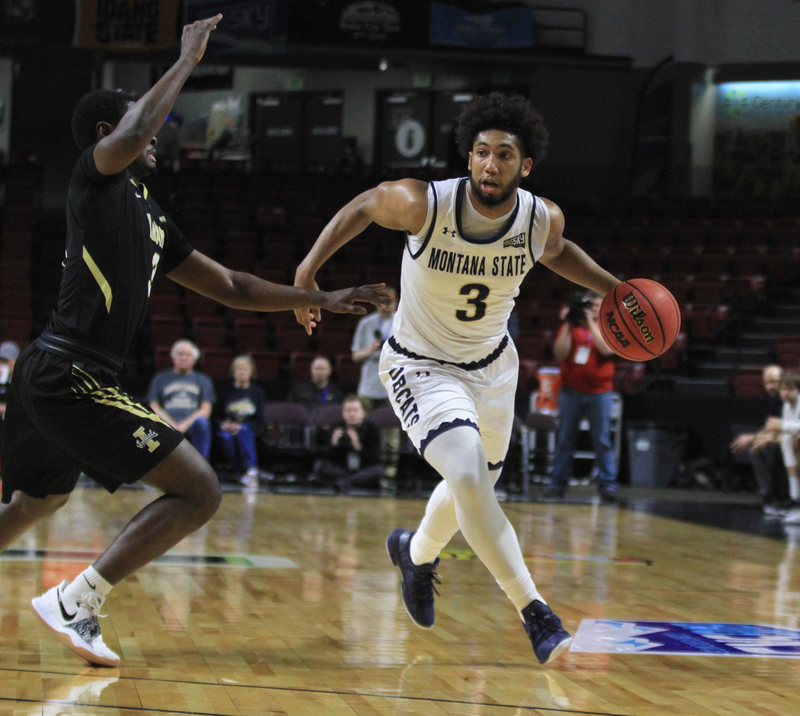 He dished out four assists on Montana State’s next six possessions, finding Devin Kirby for lob dunks twice, finding senior Sam Neumann in the corner for a clutch 3-pointer and finding a cutting Keljin Blevins for a layup that sparked the senior’s 10-point second half. Frey, who finished with 17 points and eight assists, said the Bobcats will take a postseason win any way they can get it, even if it wasn’t pretty. Allen, Idaho’s leader physically and emotionally all season, scored 19 of his 21 points in the second half. His four-point play with eight minutes left cut the Bobcat lead to single digits. His 3-pointer with 5:16 left shaved the lead to 68-63. And his final jump shot with 31 seconds left gave Idaho one last chance. 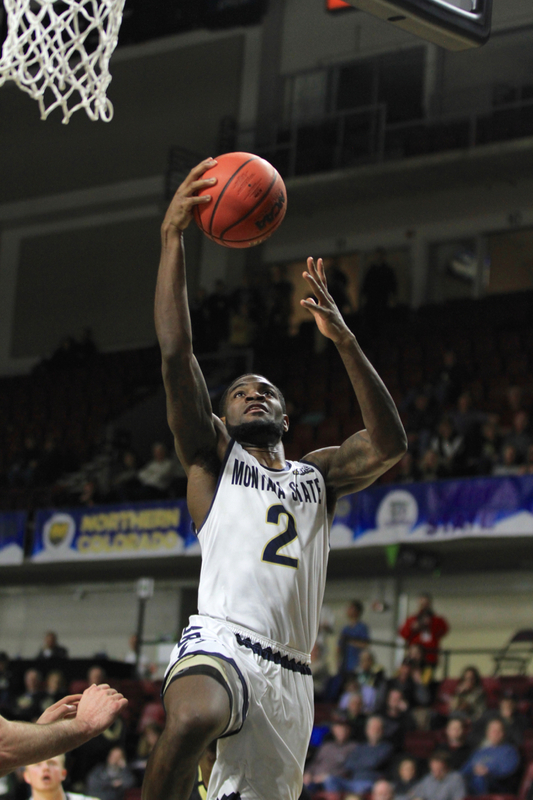 But Hall’s defensive swipe of Allen gave MSU a spot in the quarterfinals of the Big Sky tournament for the first time in a decade. And it ended Idaho’s season at 5-27. Montana State head coach Brian Fish said he is a big believers “in this time of year, controlling what you can control,” adding that his team’s scout of Eastern Washington will be simple and not much film will be watched before the short turn around. MSU and EWU split the season searies with Eastern wining 85-81 in Cheney and Montana State winning 74-66 in Bozeman. Two years ago, Fish’s team lost to No. 11 Southern Utah in triple overtime. Last season, the Bobcats blew the lead against UND. Now Montana State owns its first postseason win of the Fish era. “We’ve talked a lot the last couple of weeks about making it a 40-minute game,” Fish said. “This group has come to this tournament a few times and lost on opening night when we have got off to fantastic starts but didn’t quite understand it was a 40-minute game. Tonight, we understood it and we kept playing, didn’t see panic and we were able to get the win.